Can you use old cable company wire for a cell booster? In most cases, yes. 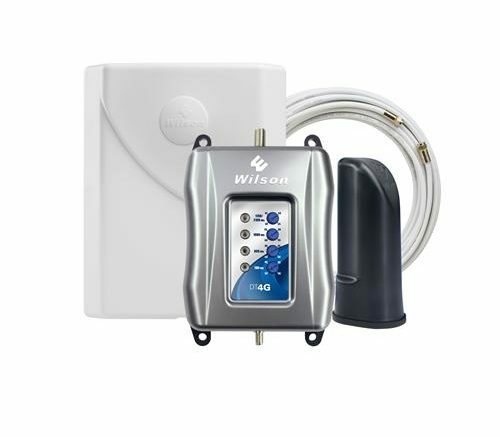 If you buy a new cell booster that uses RG6 cable with F connectors (and that means all of them but the most expensive ones) you can use unused cable company wire instead of running new cable. When it comes to RG6 cable, it’s not fair to say that it’s all the same, but cable that is rated for television use is always going to be good enough for cell booster use, because cell boosters use similar frequencies but carry much less information. If the booster uses N connectors instead, you can still use RG6 cable but you will need a pair of these adapters. They are a bit pricey if the only goal is to save a little effort by using existing wire, but it can be done. Before using old cable, inspect it carefully and replace any corroded ends or barrels. While the cable itself doesn’t break down, improperly installed cable can crack with years of sunlight, and barrels and connectors can get very badly oxidized over the course of just a few years in wetter climate. Unlike TV where it’s very clear that you’re having problems, cell boosters will just not work quite as well, so you won’t be getting your money’s worth and they may not work at all with enough corrosion or poor quality cables. As to the next question, can you then use the cable that comes with the cell booster for your cable or satellite installation… it’s not recommended. Most boosters come with cable with crimped on ends, which is not recommended for use with cable or satellite TV. It might be ok for a short-term solution, but it should never be used over the long term.